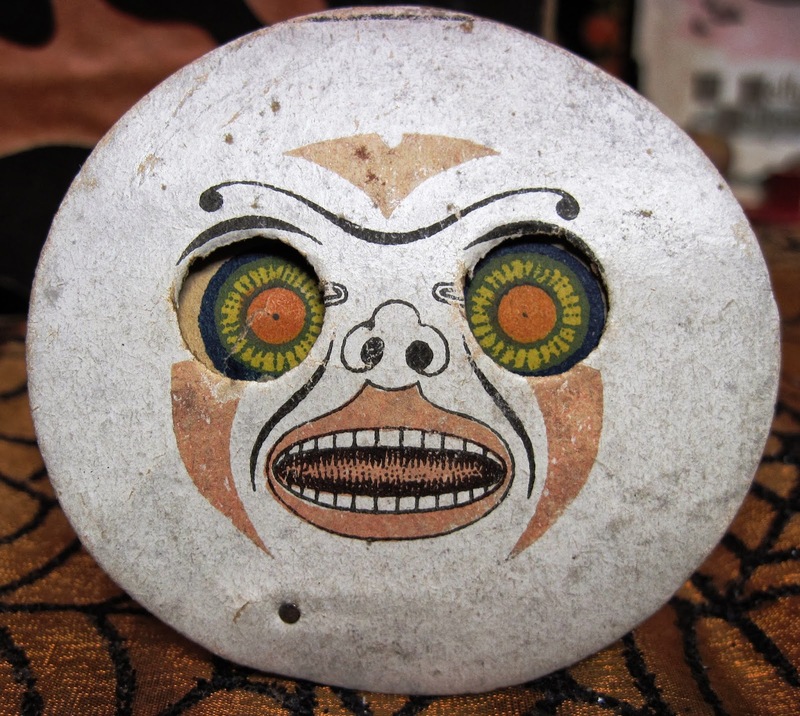 One of the creepiest antique Halloween items in my collection is this little noisemaker. Circa 1915, it was made in Germany of lithographed cardboard and fragile paper, and is just under 3 inches tall. The ghoulish face has eyes that move and change when the bellows behind are squeezed. 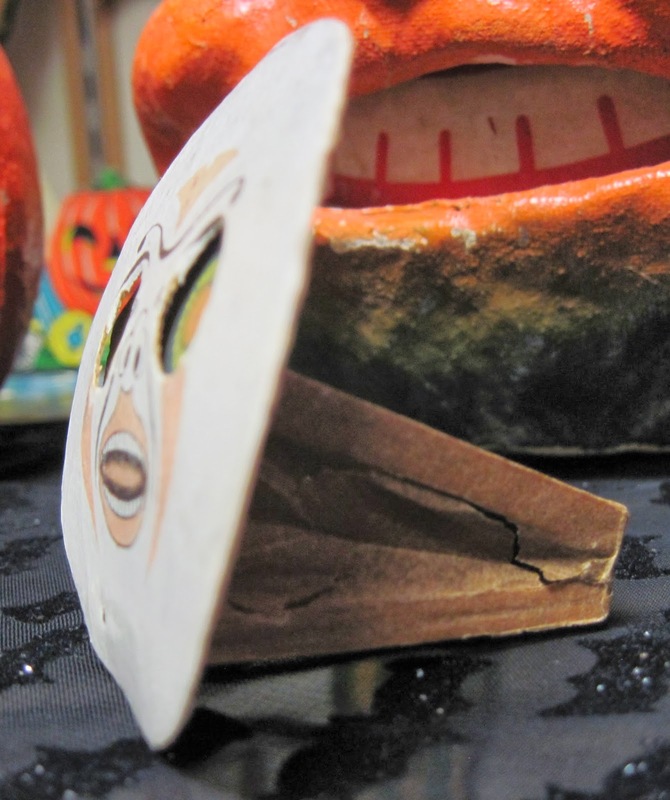 Originally, it would have made a squeaky sound as well, but that part of the noisemaker has long since ruptured. This squeaker was one from a set of several different faces. Some, like this one, featured moving eyes, while others had tongues that stuck out when the bellows were squeezed. These white faces represent mangelwurzals, large, beet-like root vegetables used in some parts of the world instead of pumpkins for making jack o' lanterns. There was a similar set printed on orange cardboard representing the more familiar pumpkins. That squeaker head reminds me of the Wizard of Oz, when he projected his image on a screen from behind the curtain. Big, round, scary. Good stuff! Hi Linda, good to hear from you! And you're right: he does look rather like the Wizard!